toledo mudhens | Great Scot! The month of August is considered to be Ghost month in Taiwan. There are many rules to follow to ward off bad luck and evil spirits. You are not supposed to open umbrellas indoors, go into the ocean, leave your shoes outside, hang your laundry up to dry at night, and whistle at night. 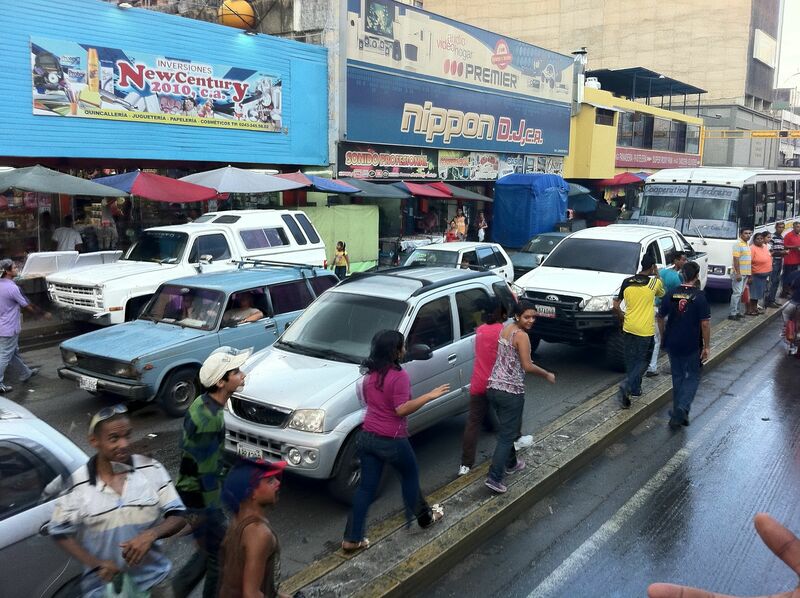 To keep these spirits away many locals will pray outside of their homes and businesses. They set up a table with certain food and other items and a large metal tin to burn “fake money”. This is a part of the traditional and ritual of prayer. When our team does a wish luck ceremony at the field we have a very similar setup. My luck with ghost month has not seemed to be on my side on and off the mound. Before my first start in August, my scooter engine blew up on me and I had to buy a completely new engine. Before my second start my scooter was towed from in front of my apartment. Then most of my starts in August always had one bad inning in them. And to top it off I was released by the team. I was notified by my translator of my release around 1am via text mail. We knew someone was going to be the odd man out, because the team was activating Shane Youman. I came to the field the next day to sign all of my termination papers, get my things from my locker, and say my good byes. I had a great time playing for Lamigo. My teammates were an amazing group to play with. They loved the game and always were laughing and having a good time. I wish Lamigo the best going forward and making it to the playoffs. I will be following their progress online. – I like to use a lot of rosin because it is so HOT and HUMID in Taiwan. My hands get to slippery and I need the rosin to dry up the sweat. 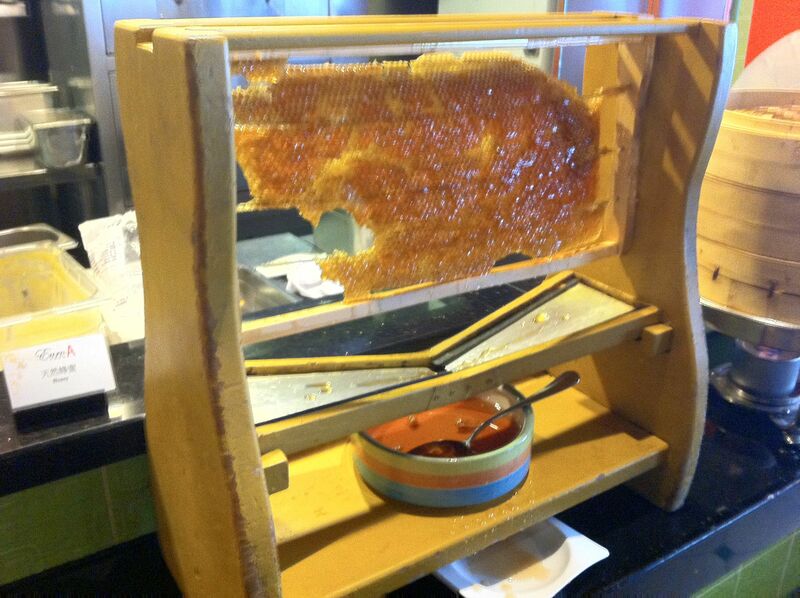 The rosin they give us is not the same as in the US. So I have to use more of it. – Once released from a team over here, you can not join another team in the league for 2 years. You can only join the team you played for prior to the 2 year ban. – I think I am going to let the hair grow a little more. – Some unforgettable things are the drumming and chants during the games. 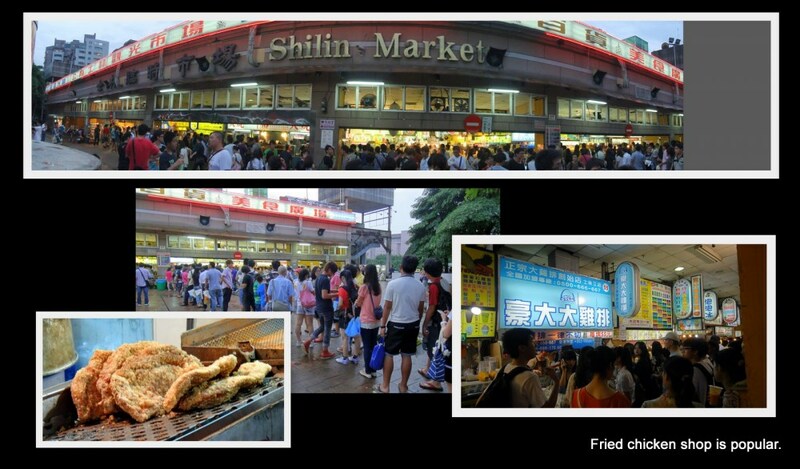 Night Markets in Taipei, smell of stinky tofu, fans and all of their signs. My next step is to head home and give my body some rest. I’m going to talk with my agent about playing winterball in possibly Venezuela, Mexico, or the Dominican Republic. I will keep you all posted where I end up. Finally, I want to tell all my friends, fans, and supporters from Taiwan thank you so much for all of your support and comments in my blog. During my time in Taiwan you have all being so kind and welcoming. 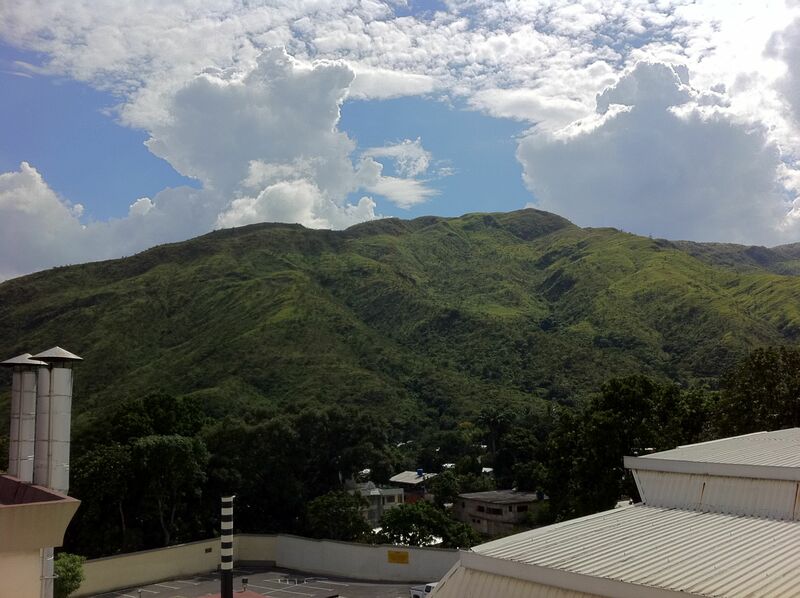 You have made my experience here very enjoyable and I do hope to come back to play or visit your beautiful country. Your excitement and passion for the game of baseball can not be described with words. You all are so dedicated to your teams over here and I had a blast playing in front of crowds like that. 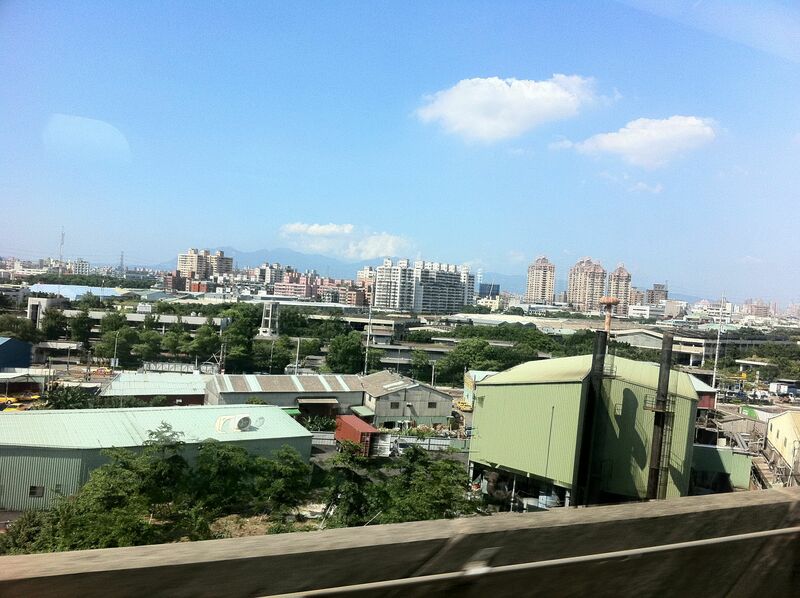 I will miss Taiwan and hope to be back playing soon. Chinese or Taiwanese? Right when I think I know a word, they switch the language on me. We ended up winning Sunday 3-1. I came into the game in the 6th inning to throw in my first relief appearance of the year. We were down in the bullpen due to our blow out of a game the day before where we lost 18-2. Prior to coming over here to Taiwan you hear many stories from former players about the gambling issues the league has had. There are stories online and in the news from prior seasons about players, politicians, and book keepers who all were involved. It is really sad to see how it can tarnish the league and the fan support. There used to be many more teams in the league, and I believe that the gambling has affected it because now there are only four teams. In just my couple of months here I have not noticed anything weird in which gambling would be involved. I think the league has done a great job in cleaning up the past issues. 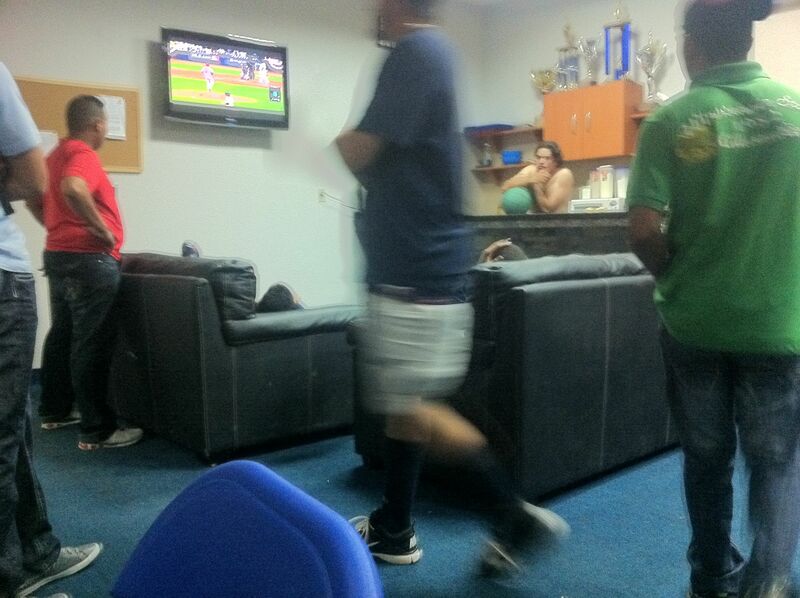 There are CPBL officials all over the stadium and in and around the locker room to monitor any suspicious activity. We are not allowed to use cell phones, computers, or any other electronics once we arrive to the stadium as well. This limits the communication lines for anyone trying to make any bets or give out information. The only thing that I find a little over the top is that we are not allowed to play cards in the locker room. So no Spades, Euchre, poker, or blackjack. They don’t want to associate any type of gambling, including cards I guess. Hopefully by cleaning up this issue the league can grow and expand to bring more teams back with the amount of stadiums the country has to offer. 1. Do you speak any Mandarin Chinese? What words have you learned so far? I have a cheat sheet on my phone for most of the usual/common sayings for me to get around town. It includes numbers, taxi instructions, and shopping for food tips. Steve Hammond speaks the best Chinese, Ken Ray is next, and I’m in last just because I’ve only been here a couple of months. 3. Do you speak any Taiwanese? Have you learned any course words? 4. Have you gained or lost weight after you’ve arrived in Taiwan and started playing? Will you keep gaining or losing weight? I think I have gained some weight being over here so far. I think I put on some bad weight at first because I didn’t know where to go to eat, so I ended up at Mcdonalds or some other fast food joint. Luckily I have figure out some of the local food places and we have a really nice gym in our stadium that we get to use prior to games. This week we are home in Taoyuan on Tuesday and Thursday against the Sinon Bulls and on back on the road in Kaoshiung versus the Lions on the weekend. 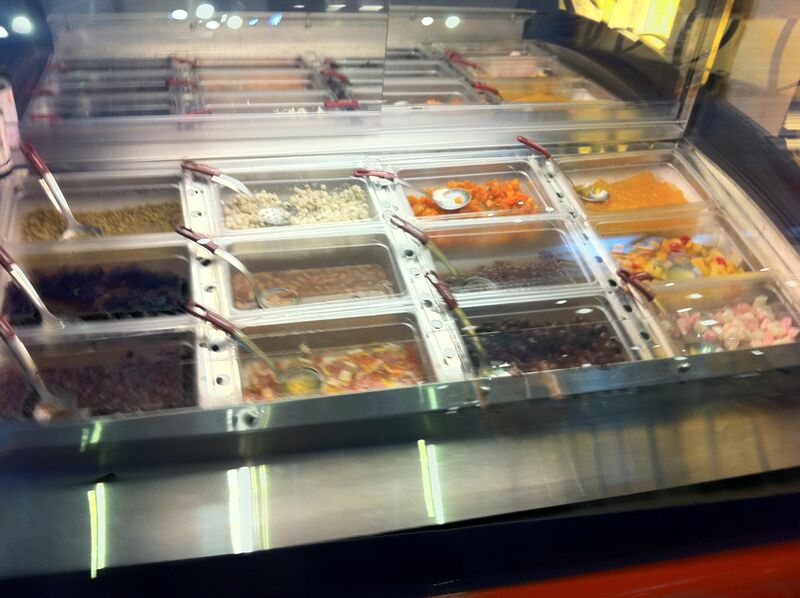 Here are some pictures of the food around town that I didn’t have a chance to post in my “food” blog last week. Please continue to comment, leave questions, and share the blog with your friends. Thanks as always for the support and taking the time to read it. Being away from home can make one homesick and gain or lose weight very easily. Being in 3 different countries in the past year I have seen many different cuisines around the world. 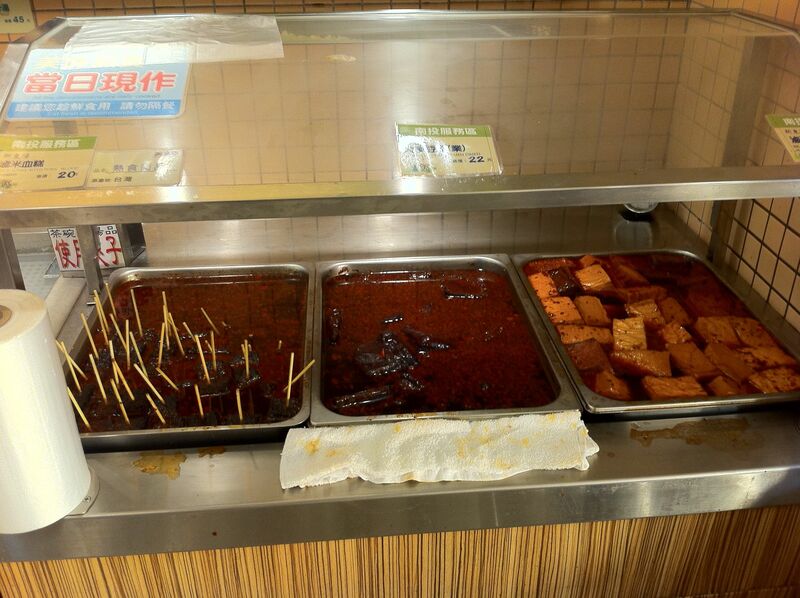 This can sometimes be a challenge for imported players who are not open to trying local food. While playing in Latin countries such as the Dominican and Mexico its easy to find something to a players liking. There are always tacos, quesadillas, or something with chicken or beef and rice on a menu in town. The best part is the menus have pictures and the menus are in both Spanish and English or have words that foreigners can relate to. 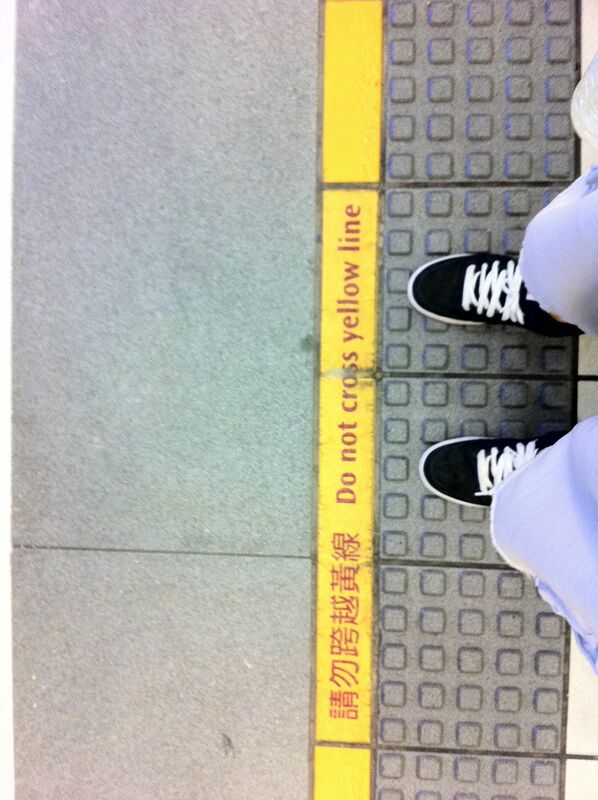 Here in Taiwan it is extremely tough on foreigners. Having very little knowledge of the language and trying to read the Chinese characters is impossible. 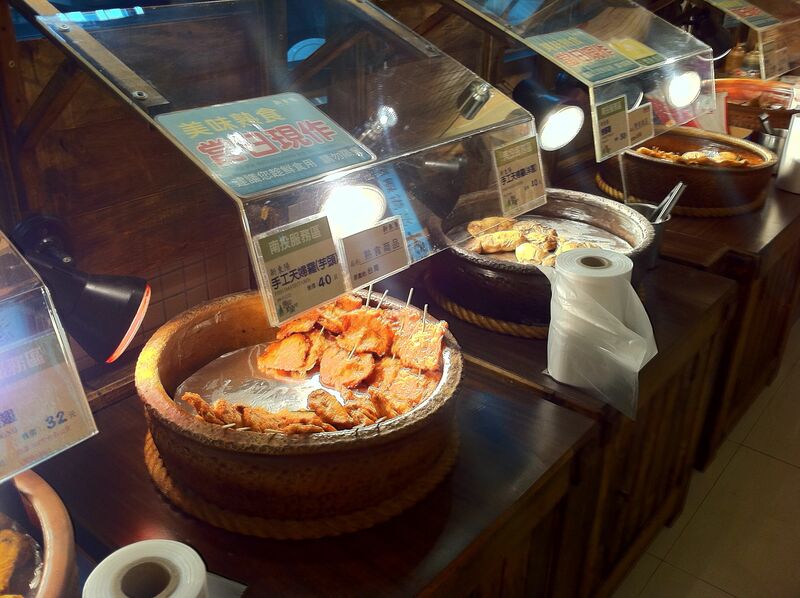 Taiwan has so much to offer when it comes to local foods. The bad part the city we live in, Jhongli, is not a tourist town by any means and barely any English is spoken. 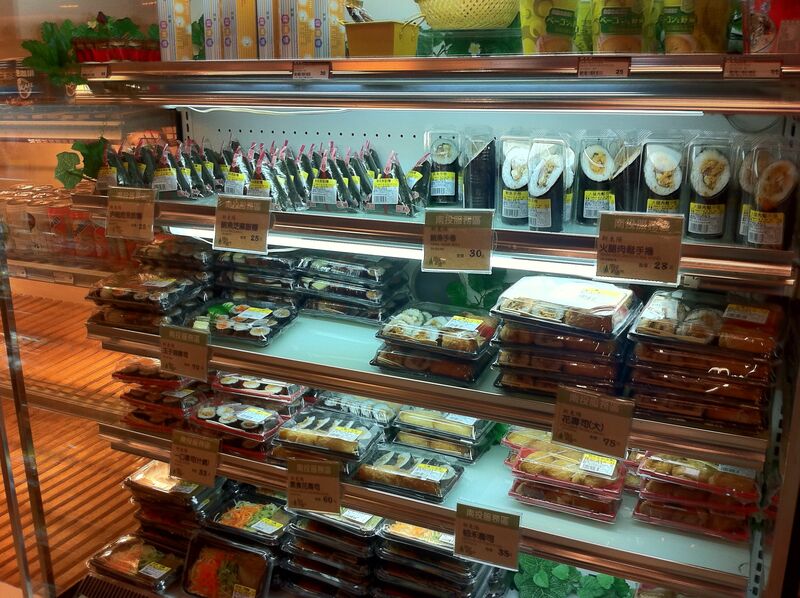 It becomes very difficult for the import players to venture out alone to the supermarkets, restaurants, or night markets and find something to eat that they know what it is. Most if not all the restaurants menus are in Chinese and all of the staff speak only speak the native language. The locals also speak both Taiwanese and Mandarin Chinese. 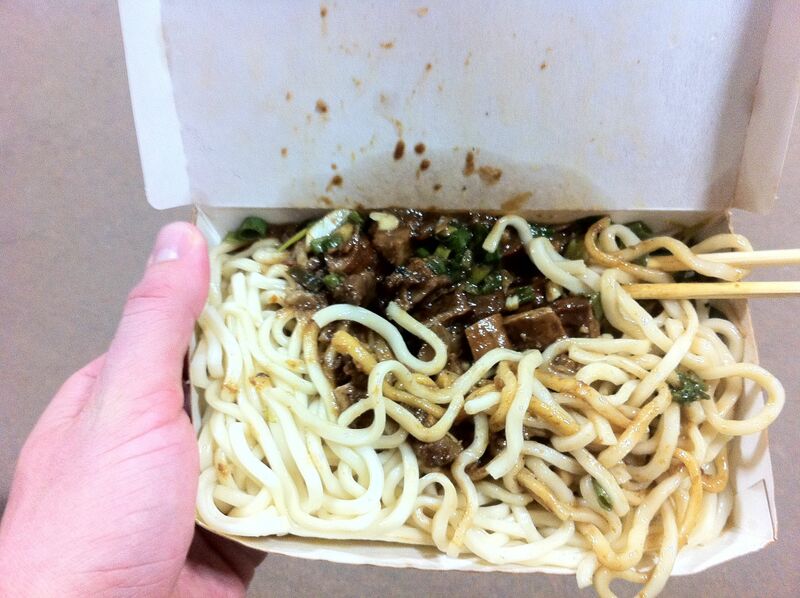 The food is completely different from the Chinese food most Americans order in on Sunday nights. Many players will just stick to what they know when it comes to being in a foreign country which could be McDonalds and Pizza Hut for anywhere from 3-6 months. Even those places have a different regional menu. McDonalds carries shrimp burgers and Pizza Hut has squid pizzas. I have tried to venture around the night markets to try the tasty treats this country has to offer. Probably the best and freshest foods comes from the street vendors in Taiwan. They are all over every street throughout the country and work into the late hours of the night. You can smell the food from blocks away. 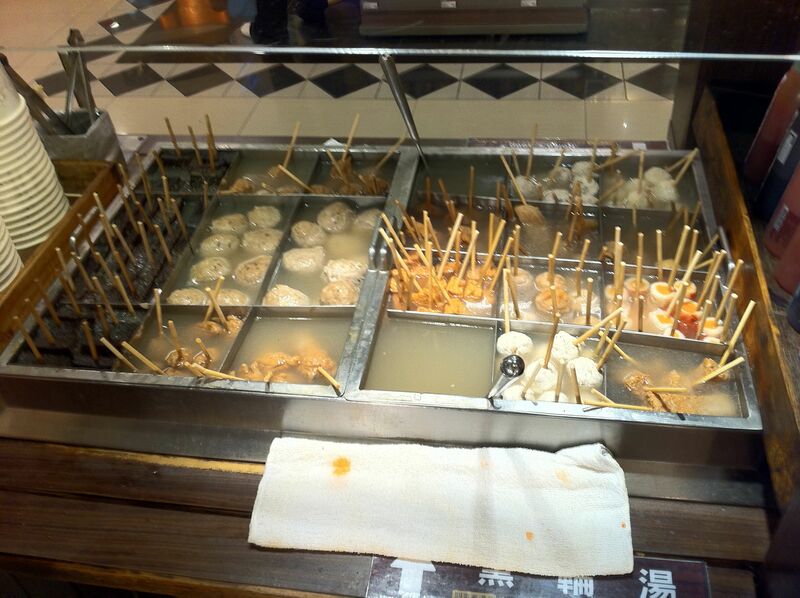 They can stir anything up from dumplings, to stinky tofu, to soups, rice, meats on a stick, and many more items. I usually will go to a night market and find the stand with the most people in line and buy something from that vendor. Some people might not have the stomachs for some of the “odd” stuff. 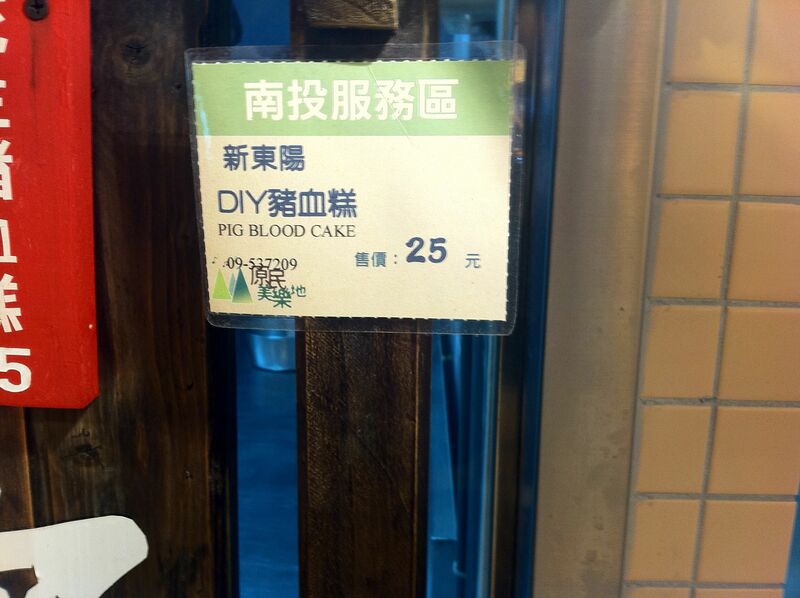 This includes pig knuckles, chicken feet, pig intestines, duck blood, 100 year old egg etc. As long as a teammate or our translator lets me know what the food is I’ll try it out to an extent. 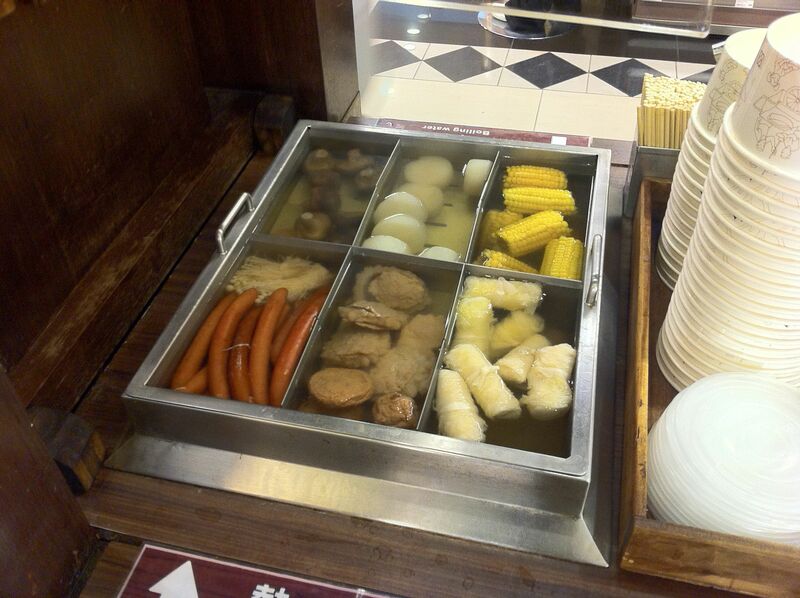 The other thing I have noticed in Taiwan is that they do not like to waste any part of the animal when cooking. To many people in the US this can be weird, but you have to understand the cultural differences. You will not always get a perfectly trimmed steak or piece of pork. There usually is fat on it. In night markets they will dice up chickens in the back and satay or fry pieces with bones that you have to pick around while eating. Also when eating in restaurants its not polite to leave much food on your plate. Locals do not like you wasting anything. I believe they feel it is a sign of disrespect and that you didn’t like the food. The team feeds us after batting practice and after the games. Prior to the game we can get anything from Subway, Pizza Hut, dumplings, chinese tacos, egg ham and cheese sandwiches, noodles, or soups. After the games its usually a lunch box or fried rice with squid, or fried pork and noodles. But the one thing that we always get is green and black tea. Everyone loves it! I’m not a fan of the tea but that’s just a personal preference. While in Taichung this past week Steve Hammond and I ventured around looking for a bite to eat after the game. We came across a place called “Nest” it was a BBQ bar. Inside was a long bar with individual grills in front of each patron. They also had about 10 fish tanks with fish, shrimp, oysters, crabs and other sea creatures floating around. We saw the English name of the restaurant so we figured there would be some english on the menu or spoken inside. That was not the case at all. Steve has been here in Taiwan for a year and a half now and has learned some pretty good Chinese, so luckily he was able to help order and figure out what we were going to eat. We ordered a ton of seafood and meats and it was some of the best food I have had out here so far. Everything was extremely fresh and cooked to perfection. I am going to start taking more pictures of the food given to us for our games and will post them shortly. – I was very excited about all the trades that went down this past week in the MLB. Seeing Casper and Furbush get a fresh start with a different organization was very exciting. I wished them the best and talked to Casper actually the other day. Some of my other friends were traded and hopefully they will make it up soon enough. I know that teams can trade between teams over here, but I only believe it happens during the off season. We also have an import signing deadline which is August 31. This means no more imports can be signed after that time. – There is no in between innings stunts or acts. Like I have said in another blog, there is no exchange of lineup cards, no manager meeting, no national anthem. Just a 5th inning field maintenance break and back to playing. I don’t even know if there is a PA announcer, because the fans and the drums overtake all the sound and Ive never heard an announcer say who’s up to bat or pitching. – The fans are really passionate. They travel from all over the island to come to different games to root us on. Most if not all have some kind of team apparel and all have the rally sticks or noise makers. They love to take pictures and cheer non stop to the organized chants the MC has. – The only closing ceremonies we have is to bow to the fans and the other team after the completion of the game, win or lose. The team will run out to the foul line together and one player will lead us. – When receiving a gift from someone you are supposed to accept it with two hands. – Don’t leave chopsticks sticking into your food when you are done. It is a sign of the dead and bad luck. 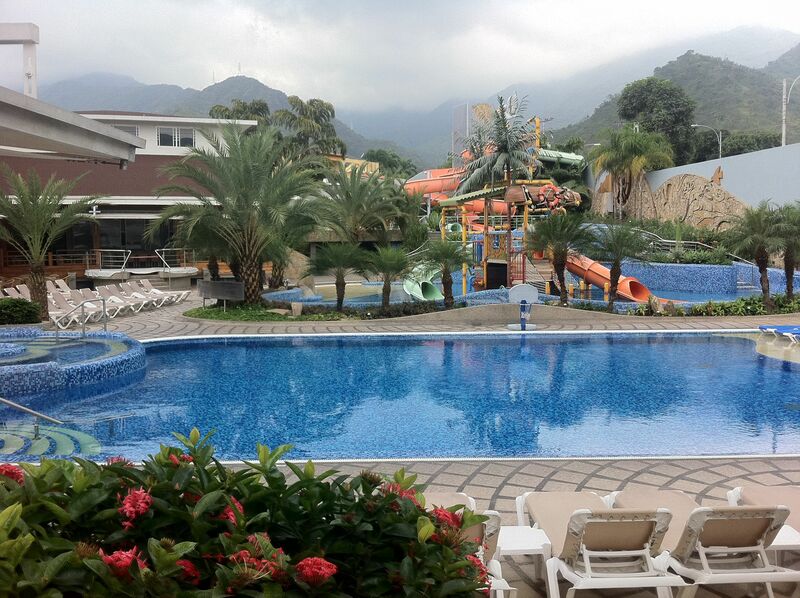 – We finally stayed at a hotel this past weekend in Taichung. It was the Splendor Inn which is a 5 star hotel. – I have yet to see a player or coach ejected for arguing balls and strikes or a play on the field. – Lamigo was lucky enough to have a very famous local pitcher come assist and coach with our team the last month. He threw 21 innings in one game before. – I received the Adidas Jeremy Scott Panda shoes in the US. Sorry to my Taiwanese fans, I don’t have them here to wear. – Its real exciting for the team and the fans to have Lin back. He is our three hole hitter and plays 3rd base. His bat has already made an impact in our teams improvement. Now we are just waiting for the last piece of the puzzle which is Chin-Feng Chen, once he is completely healthy we are going to be a scary team to face. – To my knowledge, Taiwanese people get their “English” name from their grammar school teachers. – I am scheduled to throw tomorrow (Thursday night 630pm) against the Lions at home. – You can try to watch the games here online. These two links usually stream the games live. That would be at Thursday 630am EST in the US. Or you can catch random games from around the CPBL. Thanks for reading and translating the blog. I hope you all enjoyed it! Enjoy the rest of your summer and please feel free to contact me via twitter or leave comments here. I love all of your feedback. Thanks for the support and go Lamigo! Many people in the United States when they think of scooters, think about driving one in Key West or Hawaii along the beach and park and drink alcoholic beverages with umbrellas in them. 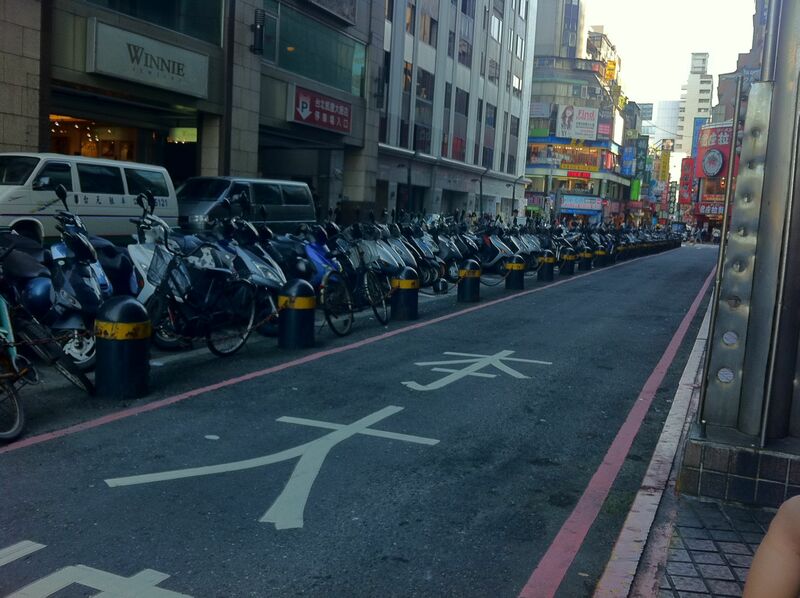 That is the complete opposite thought of scooters over here in Taiwan. Scooters in Taiwan are a way of life. They provide transportation for individuals, families, and supplies. Just when I think I have seen it all over here something new pops up. I have seen 3 people on a 1 and 2 person scooter. 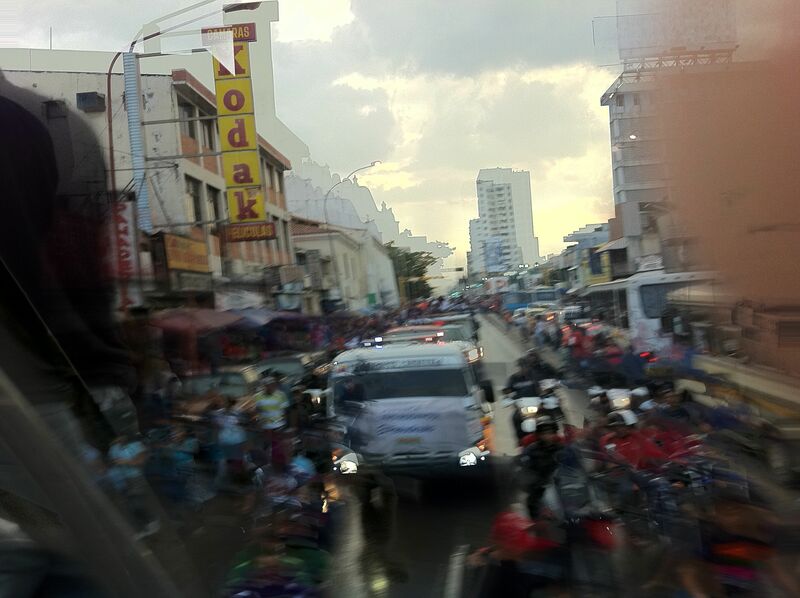 I have seen infants as passengers, many elderly drivers, and workers transporting large gas canisters on the back of them. The other day when I thought there was a wreck in the middle of the street, it wasn’t, it was a scooter who had too many cardboard boxes that fell off and made a mess in the intersection. Scooters seem to always have the right of way when it comes to the road laws. There usually is a designated lane on the right of the road for scooters, but many of them weave in and out of traffic. 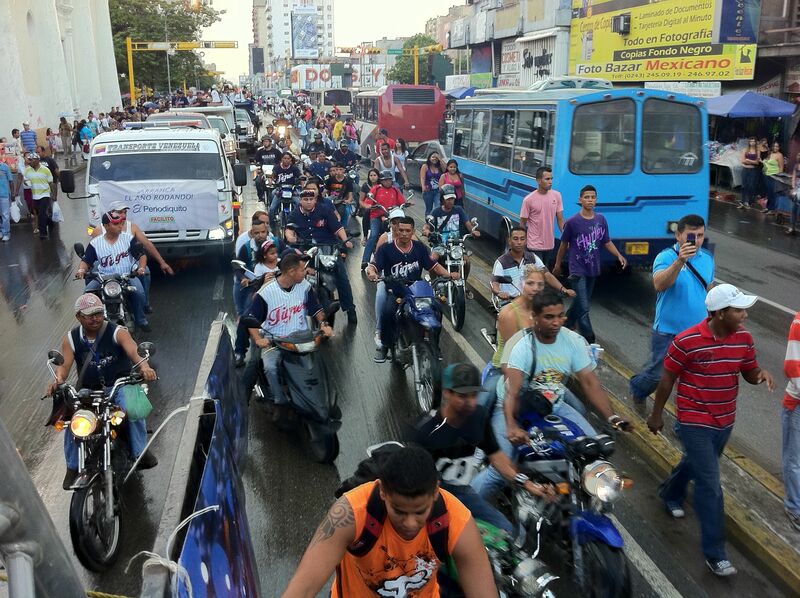 From speaking with local players, they tell me that cars must give the right of way to all scooters and are liable for any accidents. Driving on these roads with the amount of scooters and cars can be pretty scary. Drivers will just pull out of side streets without looking and expect cars to stop or move out of the way. Scooters will drive on the other side of the road against on coming traffic to get to the traffic light quicker. The hardest part of owning a scooter is trying to find parking for it. There are designated spots for scooters, but with the amount of them here it becomes very tough to park “legally”. If you make your “own” spot, you can be towed and they will mark on the street with chalk where your scooter was towed. Hopefully it doesn’t rain and wash away the chalk or you will never find your scooter. Luckily with all of the traffic and aggressive driving scooter drivers must wear helmets. Big congratulations to Yo-Yo from the Lamigo Monkeys for winning the Homerun Derby during the All-Star game. Our manager gave us Friday and Saturday off for the All Star break. 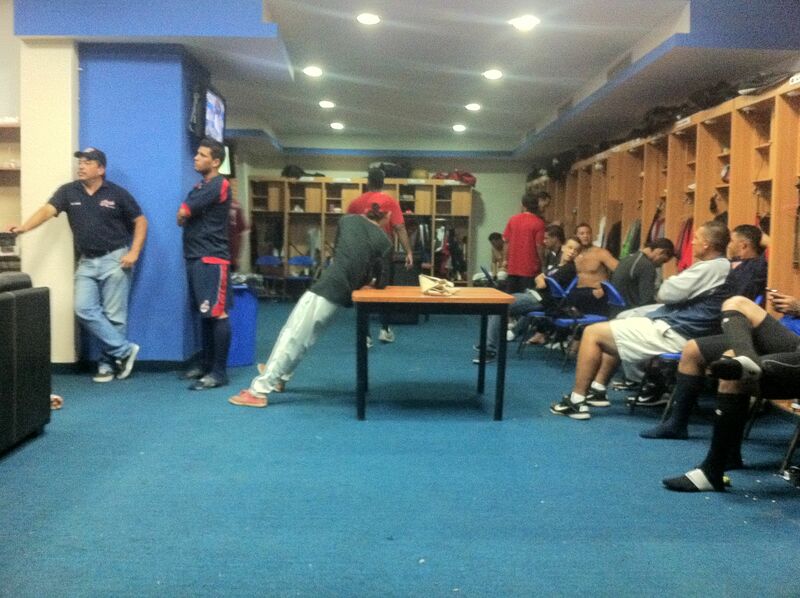 Just got home from our Sunday workout with the minor league team. Day off tomorrow then practice Tuesday and games Thursday through Sunday. Come check us out. 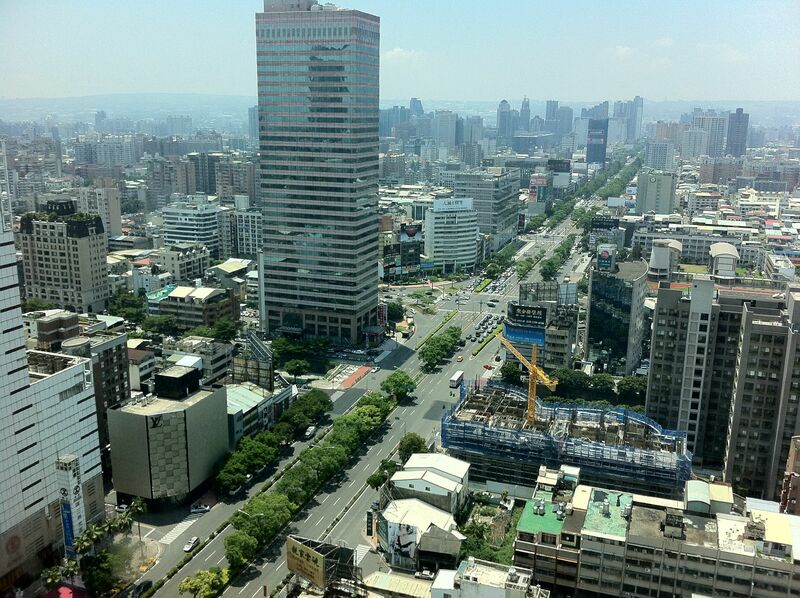 We will be in Taichung for most of the week. Probably headed back into Taipei tomorrow. 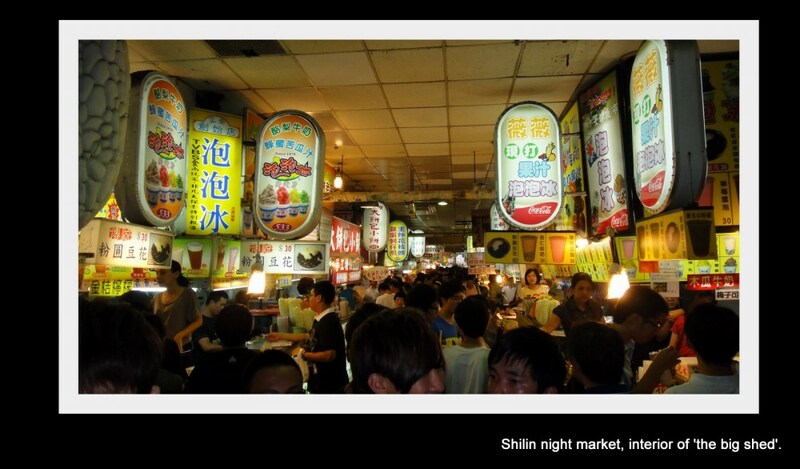 Yesterday I checked out the night market in Shilin off the MRT red line. The food there looked delicious and smelled amazing. The fruits were so colorful and fresh. I just need some help identifying what everything is. Also if you see me or one of the other imports in the streets, come up to us and say hi. We love interacting with local fans and will sign an autograph or take a picture. I noticed some people starring at me the other day on the MRT. I don’t bite, I’m friendly. Thanks as always for reading and sharing my blog with others. Thanks to my Taiwanese fans for translating my blog and posting it in your forums. PS – There was a lot of talk about my comments last week about the all-star game voting and I think it got lost in translation. In no way was I disrespecting the player or envious of him. It was only my outlook of how the voting for the all star game worked. I found it interesting that only the fans vote, and not the managers, players, or media. Please comment and leave feedback. For my US fans, here is the link to my statistics. I know it can be tough to find them online or even understand them. Due to the rain we were forced to practice indoors. 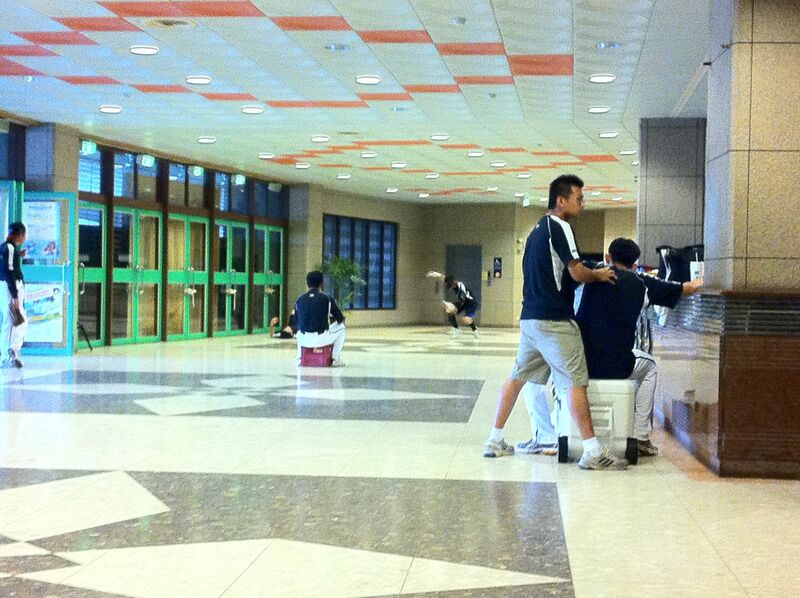 Literally indoors taking ground balls on a marble floor and getting treatment on top of our ice cooler. 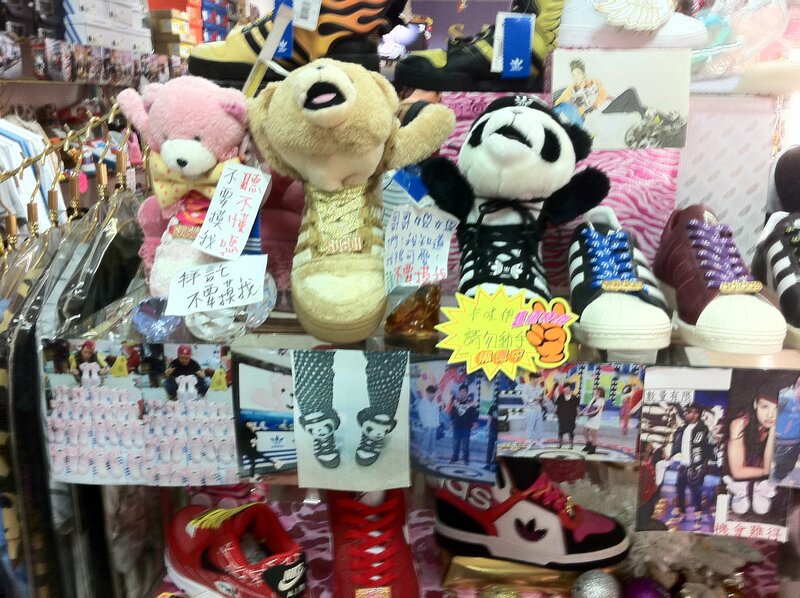 I love the Panda Jeremy Scott Adidas shoes! I’m jealous Taiwan and Asia gets so many special sneaker releases. If anyone owns a sneaker store or has friends who do, please contact me. I’m a huge sneaker collector and would love to get in contact with more people in Taiwan. Don’t forget to screw in your cleats! Last night prior to my start in Tainan against the Lions (sorry had the Elephants before made the correction now), I’m about to warm up on the field and noticed something is wrong with one of my cleats. I look down and see that my metal spikes are about to come off. For those of you who don’t know many Asian type cleats are interchangeable and have screws and metal plates with the cleats on them. My cleat was missing two screws and the metal frame was dangling. I guess I didn’t realize after each start you should tighten up the screws because they can come loose. This all happened 20 minutes before the game. I scrambled around the locker room looking for someone who one had the special tool to unscrew them or some extra screws. Luckily, our equipment manager Ashton found the tool. Unfortunately, that was all that he found. I had to now remove the middle cleat plate from both shoes to be worn evenly. This was extremely awkward at first when I started to jog and get loose, but I guess it could have been worse. The game wasn’t one of my better games. We lost 4-3 and I threw 5.1 innings. I left the game tied at 2. The most amazing part of the game was the rain delay. As typhoon type rain came down in the top of the 8th inning, the field crew runs on the field and covers the mound and home plate. I then noticed them putting 10 x 10 foot tarps over each base individually. I turn to Steve Hammond and ask where is the big tarp to cover everything. He replies you are looking at them. I only wish I was able to get video or pictures of the amount of rain that came down and was sitting on the field. I honestly would have bet $100 that there was no chance we could play especially after an hour of non stop rain and with the baselines, second base, short stop, and third base completely exposed. After the rain stopped about 30 kids ran onto the field with sponges and soaked up the field. I laughed a bit seeing these guys with small sponges trying to work, because there was so much water. I have to give it to them though, they worked very hard and somehow we got the rest of the game in. – Reminder you can not hit a batter who has hit a homerun in that game. If you do you are ejected. That happen to one of our guys last week. Worst part was it was on a bad slider in which he lost control of it. But rules are rules I guess. – If you hit a batter in the head you are ejected. This happened last night with our pitcher. I believe the hitter is doing fine and sustained no serious injuries. – With all of these pitcher ejections, I don’t think you have to leave the dugout or get fined. – The All-Star game is this weekend in Kaohsiung. The entire team is based on fan votes. There is some starter going with a 5.50 ERA and a losing record. But must be a fan favorite. – A lot of friends have asked me about some of the equipment out here. The best place to get custom gloves, arm guards, and leg guards is http://www.taiwanbaseball.com.tw/ Ask for my friend Derick. They are extremely professional and the workmanship of the gloves is the best. You can pretty much customize any part of the glove. They ship worldwide. Thanks for reading and sharing my blog. Thank you to my USA followers and new Taiwanese followers. I hope that I am still keeping you entertained and ask that you please leave comments, questions, or suggestions. I love reading your feedback. The opening to the 2nd half of the season, or “lower half” as it is known by the locals in the locker room, has started real well for the Lamigo Monkeys. We opened up 8-2. We won 7 games in a row, until tonight where we were “boat raced” by the Elephants. Our starting pitching along with our hitting has really come together. Although we are still missing our two superstar hitters, some players are taking advantage of their time on the field and making the best of it. They are making great plays in the field as well as hitting in clutch situations. Once again made a stop into Taipei on the off day. Finally got to check out all the sneaker stores I’ve been waiting to find. I met a Brooklyn born Korean store owner of Born Trouble in Ximen named Andrew. He gave me the exclusive tour of all the sneaker and clothing shops around Ximen. His store is just a month old, but has a lot of unique street wear that is only available in the US. Please be sure to check out his blog and store here. -Most players do not wear cups here. I have no idea why, but doesn’t make sense to me. -I finally had the suction cup treatment done to me today. Hopefully I don’t bruise too badly. -The MVP of the game is supposed to by a fruit type drink for the entire team the next day. Steve Hammond supplied us with a watermelon drink on Sunday. -Garbage trucks drive around playing ice cream truck music. I was saddened when I rushed out of my apartment one of my first weeks here to get a snowcone, and was greeted by a smelly garbage truck. -The managers do not meet with the umpires prior to the game to exchange line up cards or discuss ground rules. -Supposedly from what I heard, umpires here are rated each game, and can be fined or punished for making incorrect calls. Thanks for checking out the blog. Sorry for the short post. Not much to detail this week other than we have been winning which is always nice. Please comment and leave any questions in any language. I want to hear back from you all and make the blog more interactive.